Those crisp snow-covered mountains and green pastures dotted with cows, and heart-pumping activities for fun, well, if you still want some more good reasons to visit the Swiss Alps, well, there are plenty. Find yourself in the midst of incredible mountain scenery and surrounded by Alpine resorts and cabins in Switzerland, that offer a comfortable stay. A Swiss Alps experience is one experience that you need to have at least once! Here are some excellent reasons that why you should visit Swiss Alps! 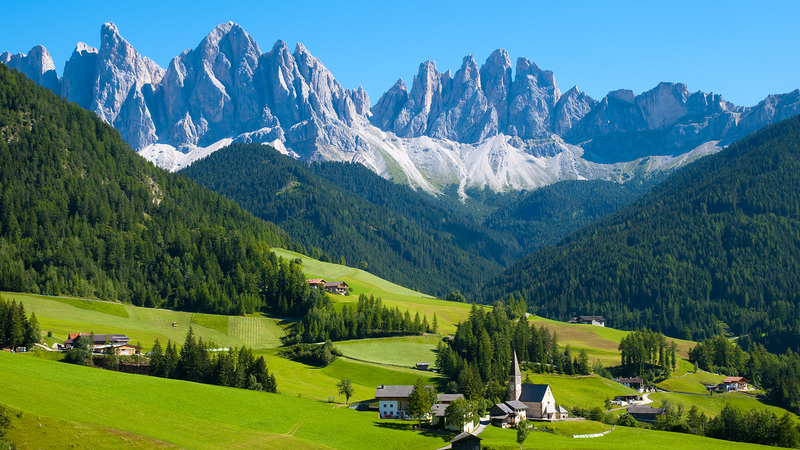 The Swiss Alps boast of some of the most dramatic scenery, and you will never want to leave the place. It is indeed one of the most amazing places in Switzerland and with so many beautiful, isolated lake. Connect with nature amidst the background of the mountains, trees, and lakes. If you love nature and photography, then you are just in the right spot. You must visit the Matterhorn, that juts up into the sky like a jagged tooth. It happens to be one of the most photographed mountains in the world! Well, this is a no-brainer, after all, hundreds and thousands of people come here the enjoy the best skiing experience in the world. Home to the most well-known skiing resorts in the world, you will find some of the best slopes in the world. All kind of skiers come here such as the novices, die-hard skiers and day-trippers alike. Just pack your skis and waterproofs and enjoy skiing on the best slopes of the world, at least once in your life. The Great Aletsch Glacier is the largest glacier is in the Swiss Alps. Nothing could be better than enjoying your vacation at such a high altitude. It is a must to visit this relic that is part of the much colder time on Earth. To look at Aletsch Glacier is like a vision of primeval beauty. The vast river of ice stretches across the Jungfrau region down to the Massa Gorg. The views are indeed fascinating and inspiring for every visitor. Graubünden is indeed an explorer’s dream! Switzerland’s largest canton is a vast expanse that is filled with mountain peaks and some of the glitziest ski resorts in Switzerland. As you explore the area, you also get the chance to pick up a few words of Romansh, the fourth language of Switzerland. Discover the wilderness of the tranquil mountain villages and enjoy a perfect holiday in one of the most majestic world of the Swiss Alpine. This is a place that is sure to touch your soul and create unforgettable memories. Rhine falls are the largest waterfall in the world. Located near Schaffhausen, the falls come alive in August. The national day of Switzerland is celebrated here during this month and attracts a large number of tourists from far and wide. There is an incredible display of fireworks. The falls are about 50mt wide, and the overwhelming natural beauty of the falls is the reason behind mass tourism. The finest months to visit are May and June when there is a tremendous amount of water leaks. Snow is not just about skiing as there is a lot more than you can do in the snow. Those world-class ski resorts have much more on offer, and one can enjoy tobogganing, trekking or take a taxi-ride on a bobsleigh. Or, one can always enjoy the old-fashioned hike through the mountains. There are an incredible number trails which are fully sign-posted. Thus the snow is like a big snowy playground. Swiss Alps are famous for their chocolates, and it is true that some of the world’s best brands started here. One can enjoy chocolate tasting in almost every city and town here. There are endless varieties of favorite chocolates from a wide variety of brands. Browse some of the most popular brands like Suchard, Callier and Chocolat Villars. Switzerland creates more than 400 cheeses, and some of the varieties are produced only in Switzerland. There are some favorite dishes like rosti and cheese fondue that can be eaten almost anywhere across the country and in almost every restaurant. It is a must to visit Gruyères to sample its famous fine cheese or enjoy a traditional fondue. The Swiss Alps dotted with charming little villages, and it is must to explore those villages and get to know their culture. Stay at one of those villages, and you will feel connected to nature. Relax and breathe the fresh, clean mountain air. Many people relocate here to enjoy a new life in a scenic Alpine village. For the locals and the tourists, it is a favorite thing to enjoy the beautiful sunrises and the glorious sunsets. The Swiss are known to make brilliant watches. Thus, if you are looking for a quality timepiece, then this is the number one spot to visit. Some of the top brands are Omega, TAG Heuer, Schaffhausen and Rolex. “Swiss Made” is a mark of quality and a seal of approval that is recognized world over. Swiss Alps is one place where time has indeed stopped and one you could call the heart of watchmaking. The luxury watches excel in terms of their craftsmanship.